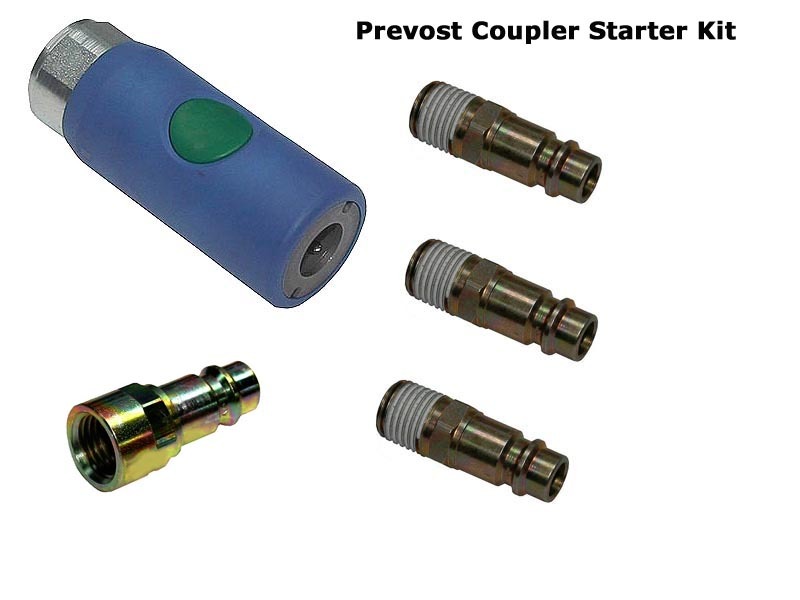 Prevost High-Flow Coupler Starter Kit (for hoses with 3/8" NPT end fittings) - one 3/8" Female NPT coupler, three matching 1/4" NPT "High Flow" male plugs (for use with tools & accessories) and one 3/8" NPT High Flow female plug (for use on the end of hoses). 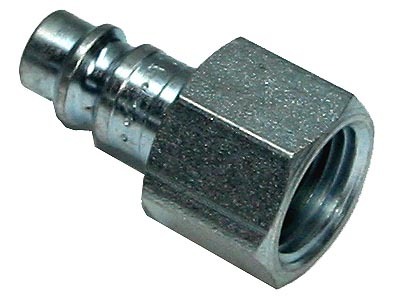 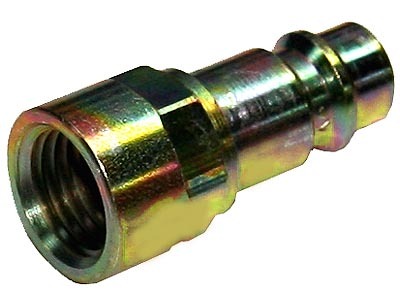 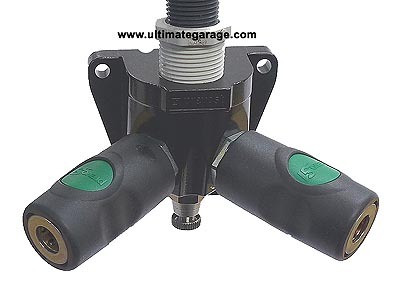 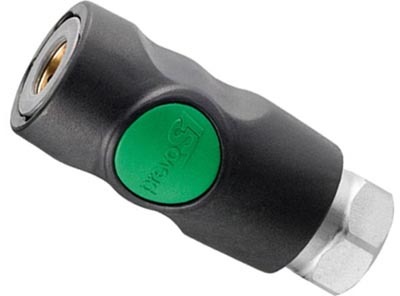 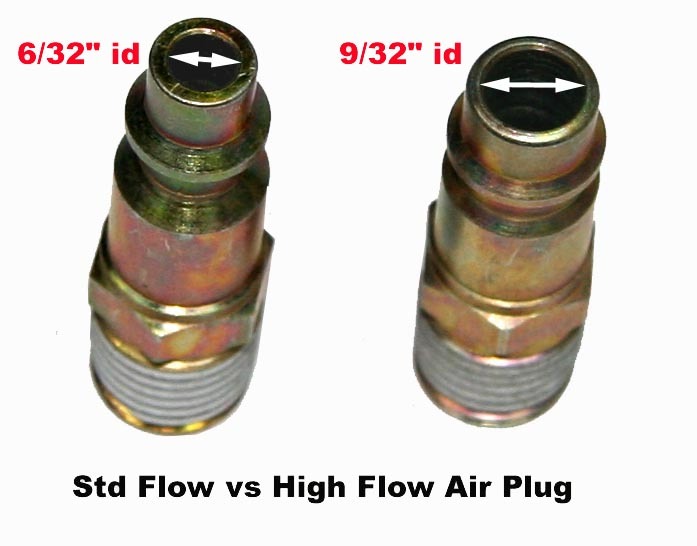 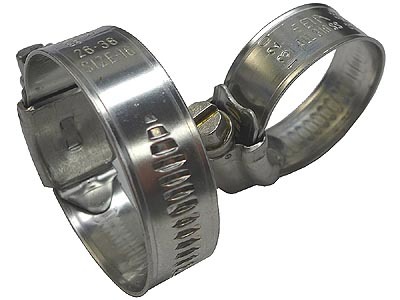 This European High Flow profile uses a threaded plug (male for tool bodies, female for hose connections) which flow approx 33% more volume vs standard Industrial or Truflate profiles. 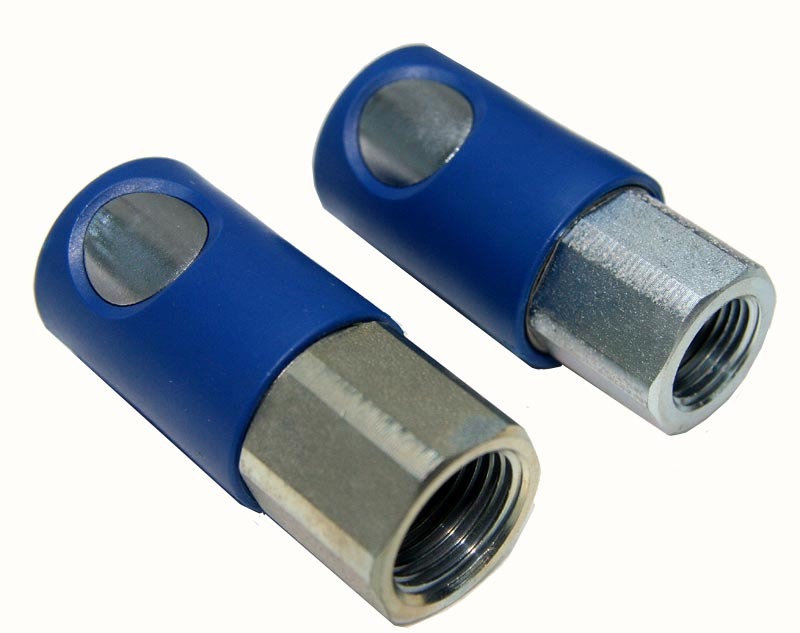 See photo1 and photo 2. 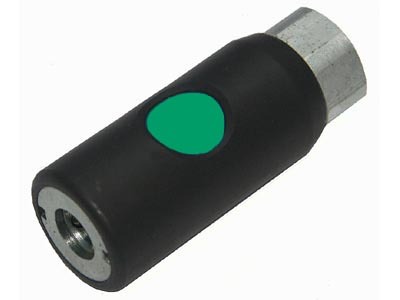 Recommended for paint shops....sanders and grinders have higher CFM requirements compared to standard impact tools.